How could I possibly write a month's worth of posts about sailing and not mention our favorite 'K' word – Keys. As in the Florida Keys. That enchanting chain of islands South of Miami beginning with Key Largo and ending in Key West. 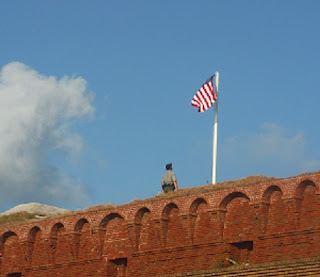 Although, truth be told, the Keys extend onward south and west to the Dry Tortugas and Garden Key upon which rests Fort Jefferson, and one of the most fantastic trips we have ever taken. Shortly after purchase of Florida from Spain, the US military began to look at this series of islands as a place to build a fort to suppress piracy. It was initially considered a poor choice for a fort due to the lack of fresh water (hence its name) and the low profile to the water. A lighthouse was built to guide ships around this area of shallow water. Several years later the fort was built – one of the largest all brick structures in the Northern Hemisphere encompassing 16 acres and using 16 million bricks. While the fort was never actually used as a military instillation, it was used as a Civil War prison, housing Dr Mudd, the physician who treated John Wilkes Booth – the man who killed President Lincoln. The site is now a National Park. None of this was the reason we visited. While my family has a propensity to visit forts, thanks to my Dad's cavalary background – thanks Dad! 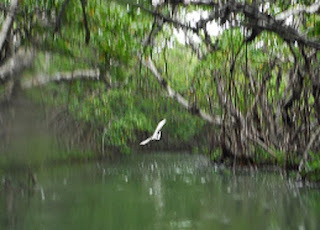 - it was more the adventure of a seaplane trip and awesome snorkling that sealed the deal for me. Without a private boat, there are only two ways to get to Fort Jefferson – by ferry or by seaplane. While the ferry was less expensive, it took a couple hours to get to the island. The seaplane gets you there in 40 minutes and gives you a bird's eye view of the ocean with a narrated tour by the pilot. Not to mention the exhilaration of take off and landing in a seaplane! We opted for the half day visit but in retrospect wish we had taken the full day trip. We were also lucky enough to visit on a day when the ferry was down for maintenance which meant we only shared the island with about 10 other visitors and two State Park rangers. Initially we didn't want to 'waste our time' wandering around a massive brick building with that beautiful water beckoning. The first site to greet us was the rangers raising the flag on the Fort. Even in our politically heated atmosphere, this was a breathtaking experience and we stood silently and watched as one ranger raised the colors and the other saluted. Walking a little farther down the beach we spied a large metal boat. Inside were a empty water bottle, a man's t-shirt and a child's shoe. Prayers in Spanish were painted on the metal. We had found a Cuban refugee boat. It felt almost contrived. As though placed there as a tourist attraction. A ranger assured us that this was indeed an actual refugee boat. He went on to tell us that these boats are built in mere hours, after much planning to allow for a moonless night, a place to assemble the boat, get it to the water, add an engine of some sort and launch. All in darkness before the police can catch and confiscate the vessel. With no real navigation and only sometimes a truck engine to power it, these open boats head for the United States in search of refuge. The Dry Tortugas are often times the first land these boats reach. And being US soil, the rangers are obligated to assist the people on them. Even with the more open communication between Cuba and the States, incidents of refugees has increased. It is a sobering thought, to have actually sailed in a safe, well made boat on rough water in daylight, to imagine a family, with small children in these open, rapidly built vessels leaving their homeland in hopes of a better, safer life. This is not a politically minded blog, but I can't help but wonder what it might take for our world to become a place where people do not feel they must risk their lifes for a better, safer place. Our first trip to the Keys was a Griswold-esque, Hemingway fueled, Jimmy Buffet sound-tracked odyssey. 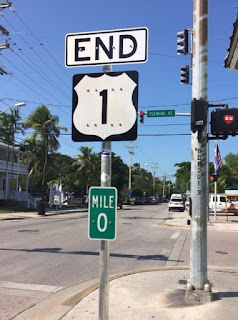 I was always a little leery of the 'party' atmosphere of Key West specifically, and the Keys in general. 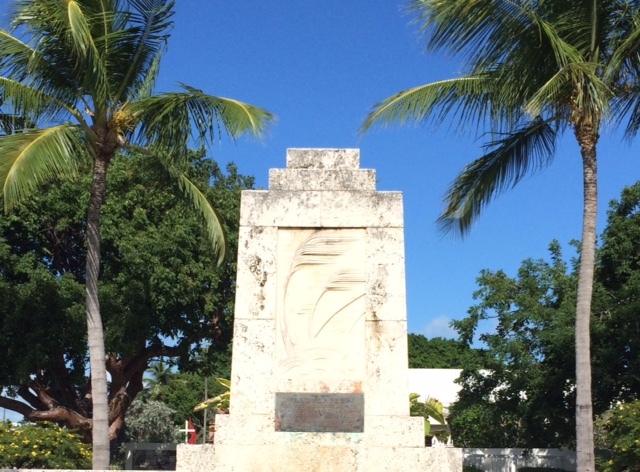 There is so much more to the Keys than drunken revelers. So I will end this post with some pictures of our favorites. 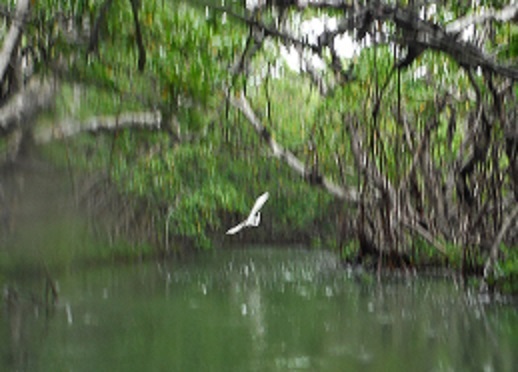 kayak mangrove paddle. in the rain. awesome. Scott Kirby, the owner of Smokin'Tuna and one of our favorite musicians. I love the chutzpah - there is a fabulous hotel named Cayo Hueso, known as the Southern Most House. 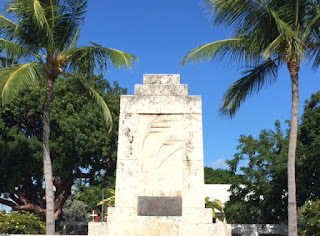 I know I teased today's post with a mention of a story about Key Lime Sailing Club. But after researching, I found I have written several posts about this awesome place. And if you would like to read more about our Key Adventures, please check out these past posts. Oh, and if you haven't heard Scott Kirby's music, I highly recommend it. Check out his website: www.scottkirby.com and his newest CD Chasing Hemingway's Ghost. 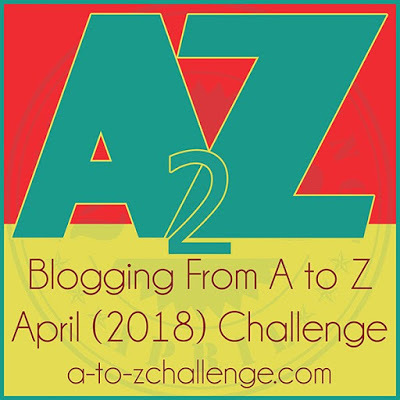 This has been yet another post for the A to Z challenge. 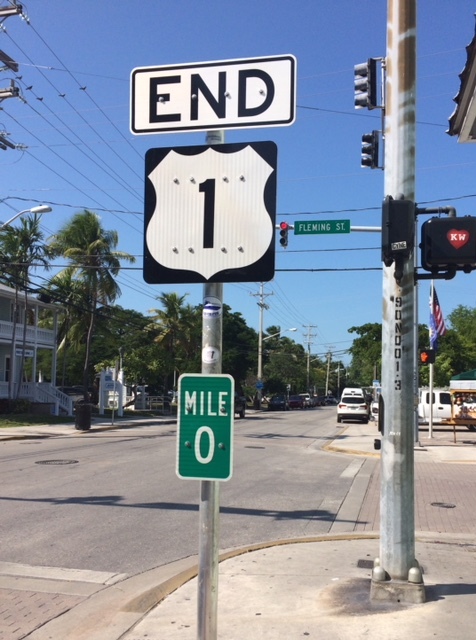 Would you believe, considering that I am writing an entire AtoZ devoted to Florida, that I have never visited the Keys? (Or, for that matter, the Panhandle) what have I been waiting for? I have wanted to visit Fort Jefferson and the Hemingway property- and I grew up perhaps 2 miles from U.S. 1, which we called Boston Post Road. I’d love to see its end. Oh my! I can’t talk enough about how wonderful we found the Keys! 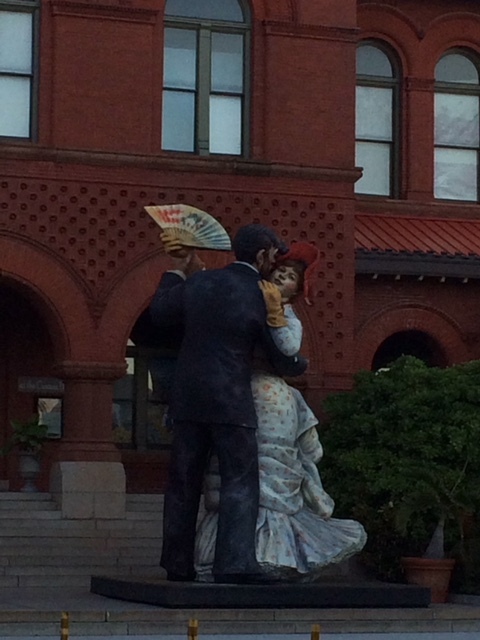 So much history and so much fun! You absolutely need to visit!! Thanks for sharing some fascinating facts about the Keys. That is a lot of bricks! All looks great fun. It really is, isn’t it! Thanks for visiting my page! Very pretty pictures and thank you for this. I've always wondered if, as a non-partier, I'd find anything to enjoy in Key West. Oh JZ! I felt the same and now the Keys are my happy place! Lots of pictures - it's a much more diverse and interesting place than I'd assumed it to be. If I ever venture to the US I'll have to add it to my "places to see" list. You absolutely must. So much history. We love the Keys, have been there several times, each visit different from the last. Enchanting place! It is wonderful. So diverse.